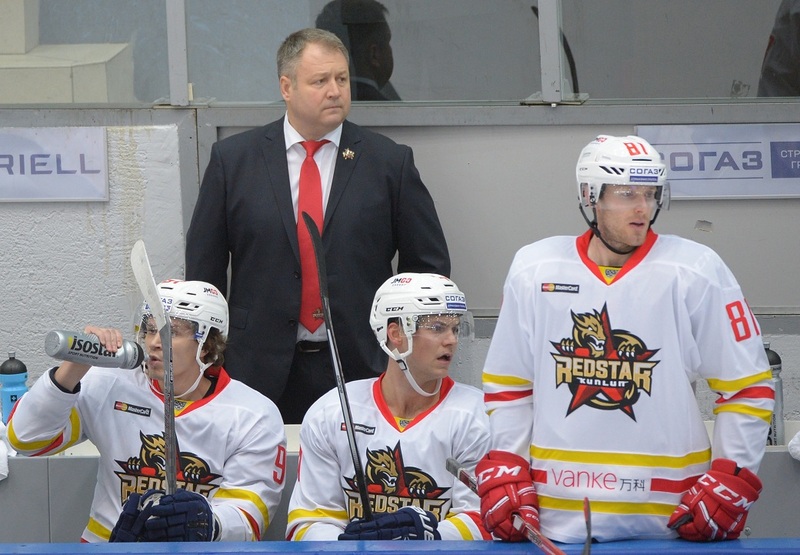 Vladimir Krechin, Sporting Director of Kunlun Red Star, gave an interview to KHL.ru – on the quest for Chinese players, on why two planes were needed for Far East travel, on new coach Mike Keenan, on the team’s prospects, and much more. Under the guidance of coach Vladimir Yurzinov, this multinational collective more than fulfilled the main task set before it. 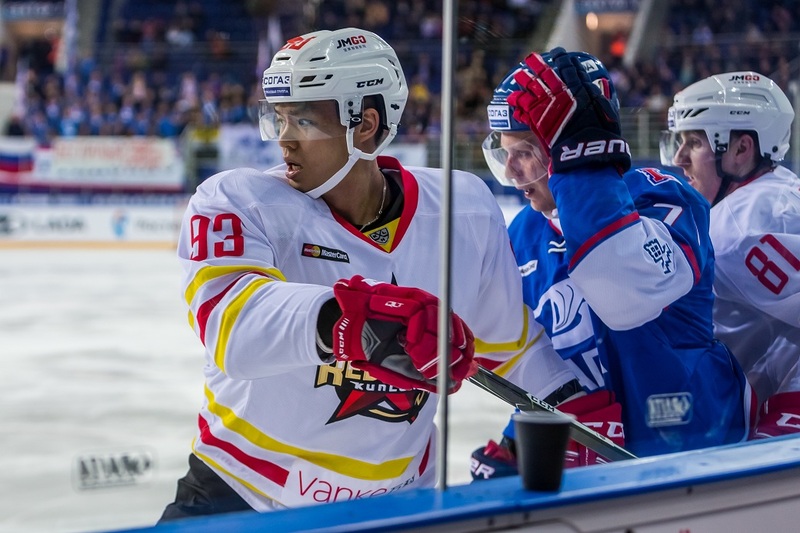 Awareness of the KHL spread throughout this vast nation, the most populous on earth; Kunlun Red Star matches were staged in China’s two largest cities, Beijing and Shanghai. The first professional hockey club in Chinese history qualified for the playoffs in its debut season, which only came to an end with defeat at the hands of the current Gagarin Cup holder, Metallurg Magnitogorsk. The journey has only just begun and we are still in the first chapter of this story, but we can already look back on a successful beginning. We opened our interview with Vladimir Krechin by asking for his views on the Beijing boys’ flying start. - Overall, how would you rate Kunlun’s season? - How quickly did you adapt to working in China? 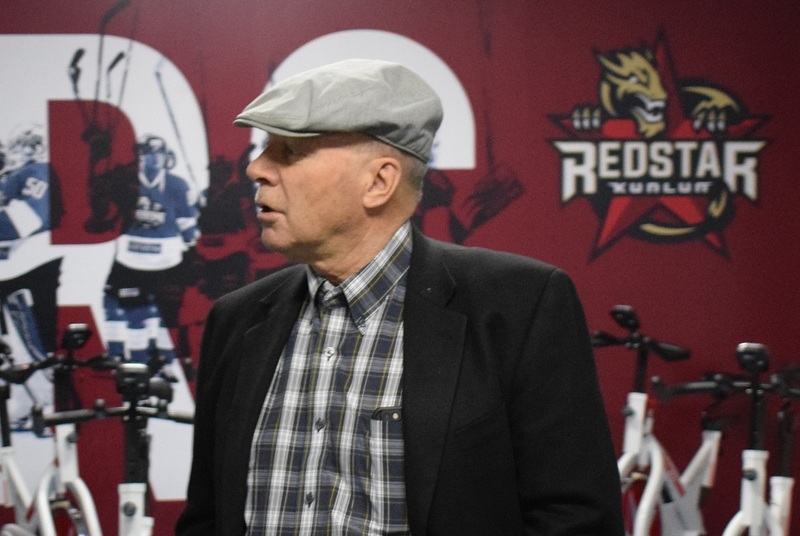 With a coach like Mike Keenan you don’t need to set any targets for the season. He sets his own goals for himself and those around him. He clearly knows what he wants to achieve and what needs to be done to achieve it. - How did the players react to the news they would be playing in China? Does it create extra difficulties? - Was there not a fear of failure? You were given a very short time in which to assemble a team. - If you could turn back the clock, would you take up this challenge again? - Would you have made any changes in the roster? - Tell us, please, about the search for Chinese hockey players. This season Kunlun had four, two of whom had learned their hockey in North America. Is that number likely to stay the norm? - Zach Yuen emerged as the leader of the Chinese contingent. Was that expected? - Were there any difficulties in the preparations for staging the first KHL match in Beijing? It would be naive to suppose that a team created from scratch could just stroll through the Gagarin Cup playoffs. The KHL is a serious championship, and such things are not going to happen. - Is it fair to say this has been the hardest job in your managerial career? - Have you learned Chinese? Vladimir Krechin: “No, that's one of my challenges for the future. - Have you notched more air miles this season than in the rest of your life put together? - What is the most striking or memorable episode connected with your move to China, or about the country itself? - For part of the season, the team played in Shanghai and the attendances were very disappointing. Could nothing have been done to attract more people to the games? Vladimir Krechin: “This is another topic on which it is hard for me to judge, because this, too, came under a different department – marketing, in this case. Probably, someone could have come up with a plan but I think our marketing staff did not deem it necessary to make any special efforts to attract spectators, given that Shanghai was just a temporary home. Our club is based in Beijing, where we have all our sponsors, partners, and advertisers, so moving to Shanghai was a temporary, albeit necessary, measure. All our thoughts were focused on reaching a swift agreement with the LeSport Center and returning to Beijing. Under those circumstances, increasing the Shanghai audience was not a priority. 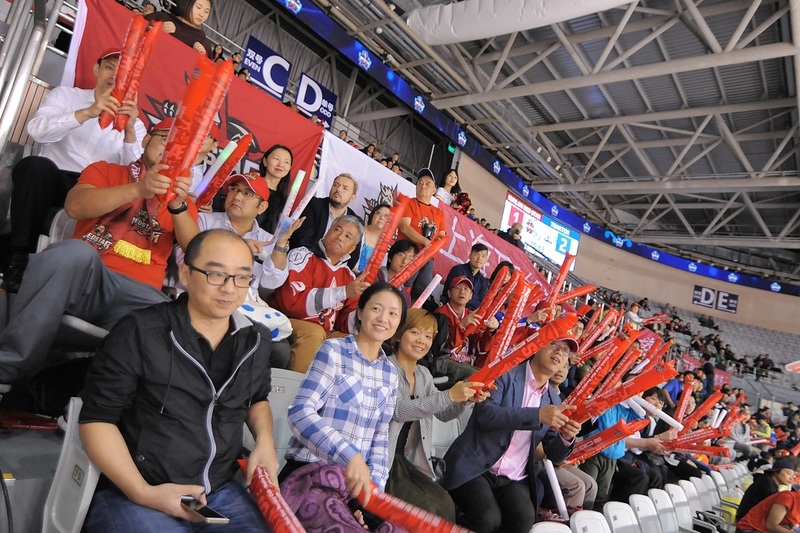 - Did you sense an increase in hockey’s popularity in China? - Which players would you single out as the leaders, not just for statistics but for their value to the team? - During the championship, were there ever any fears that you would not get into the playoffs? 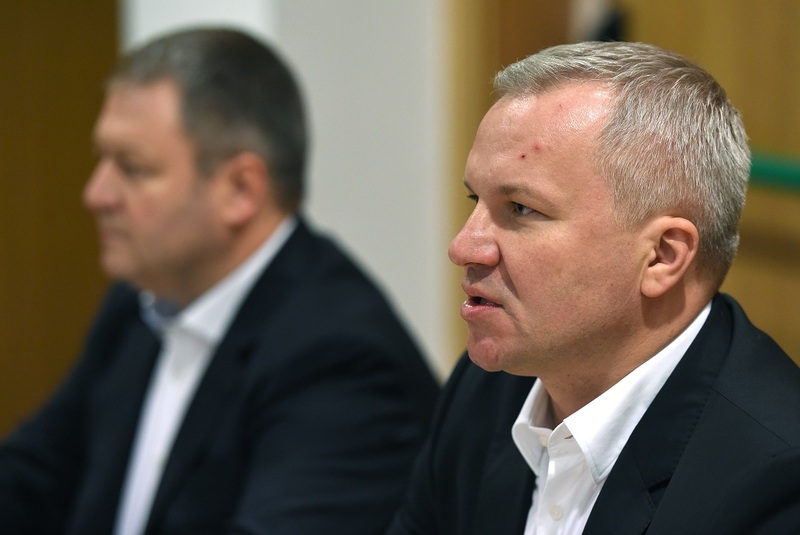 - Do you think you would have progressed to the Conference semi-finals if you had met a team other than Magnitogorsk in the quarters? - Why did you decide to part company with Vladimir Yurzinov? - Did you part on good terms? - How did Mike Keenan appear as a possible replacement, and were there other candidates? - Did Mike agree quickly? - Have you already started work on strengthening the team for next season? - Will we see big changes to the Kunlun roster? - Have you discussed with Keenan the targets for next season, and has he made any requests to sign specific players? Vladimir Krechin: “Mike is a top-rank professional of the kind I have never before encountered. Every day that I work alongside him gives me valuable experience. It is the same pleasure I had when I worked with Valery Belousov at Traktor, many of whose methods I adopted – in particular, the principles of team-building and of establishing relationships with people. And Mike, as I have witnessed, is the supreme master of organizing an entire process. It is no coincidence that he has many years of experience, not only as a coach but also as a general manager. Those players who offered their services knew where they were going. As for those we sought, some refused outright while the others thought for a while before agreeing. Quite a few refused, and I understand their reasons: it’s not easy to take such a leap into the unknown. And we expected those that agreed to persevere. 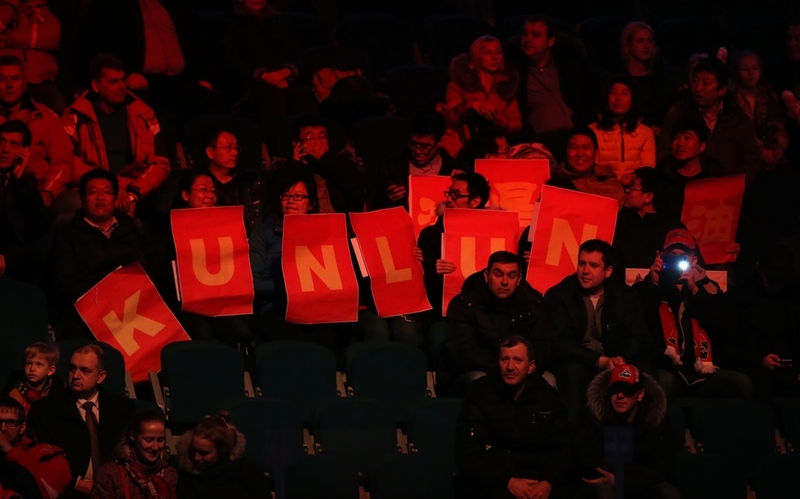 - Does the hiring of such a renowned coach signify that Kunlun plans to reach new heights, in the strength of the roster, the quality of the hockey and the results of the team?